Did you know Southwest Airlines offers wi-fi on some of their flights now? I recently went on vacation and experienced it...I'm not so fond of flying so I thought it was GREAT to wile away the time on the computer, while 30,000 feet in the air. Really, I'm going somewhere with this. On both of our flights back...no wi-fi. So, I finished 3 (short) books instead! In order to remain firmly inside the (point-of-view character's) head, nothing in a scene can be presented for reader consideration that is outside that character's awareness. Nelson mentions basic things that I learned from other writing groups (you almost never need to use phrases like "he saw", because anything that's presented through a point-of-view character is something the character saw). She also has a lot of things I hadn't thought of. There is a very good explanation of writing your paragraphs in a linear/logical order, which will benefit all writers (even non-fiction). Shallow: Joy rocketed through Adrienne. Deep: A grin the size of the big, blue sky stretched Adrienne's lips. If her feet met the sidewalk, they sure didn't know it. I see where the second example is "deeper" but it didn't engage me or make me feel like I was in Adrienne's head. I never think of a grin stretching my lips. Maybe I'd feel differently reading it in the context of a book (if she'd EARNED this happiness and I could feel it with her). But standing alone, I'd rather know what happens next then read two sentences describing how she's happy. Shallow: Despair tugged at Jenny's heart. No one ever believed her. Deep: Jenny wilted into her chair. What was the point of trying to defend herself? So although I discovered I actually prefer a touch of narrative distance, I'll definitely try to put some of the tips in here to use. If you actually WANT to write deep point of view (which is a very popular style nowadays) this should help you quite a lot. 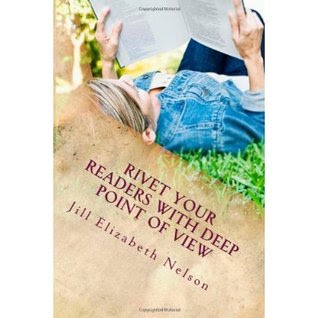 Even if you don't, it's worth a read just to get clarification as to what people mean when they say "deep point of view" and to find a few tips that will tighten your writing.